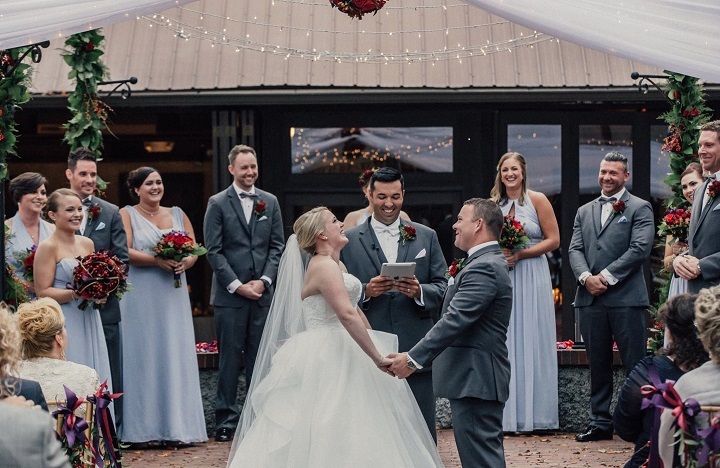 Ashley and Bryan celebrated their special day by using the popular military charity Wounded Warrior Project as their wedding donation. Many of our clients have shown their preference for a military charity. Wounded Warrior Project, Homes For Our Troops, Semper Fi Fund, Fisher House Foundation, Navy-Marine Corps Relief Society, Operation Homefront and Disabled American Veterans are the major known military charities, but their are many more. 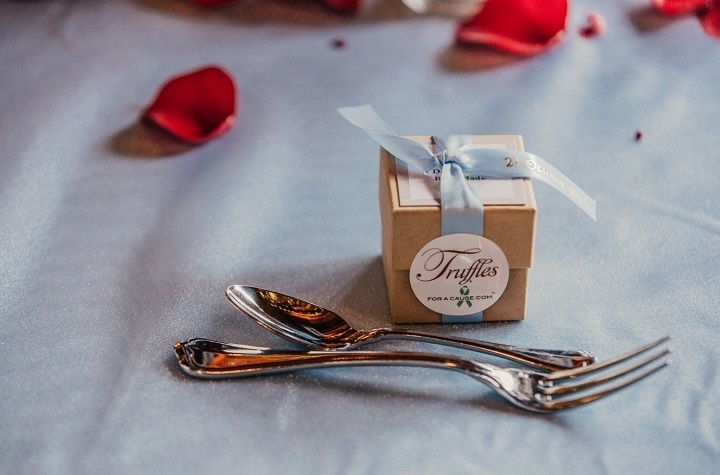 Their favors were our Foil Assortment favors that contains four assorted foil truffles – dark chocolate, milk chocolate, milk amaretto and dark raspberry chocolate all nested in hand-cut lace paper. Their favor boxed were our natural kraft (2) piece dessert boxes tied with printed light blue and grappa ribbons.